OC Sound Chorus has a long, vibrant history of entertaining audiences throughout Orange County. 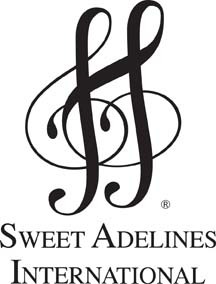 Originally chartered in 1969 as Mission Viejo Chorus, we are part of Sweet Adelines International. This worldwide, non-profit organization is committed to advancing the musical art form of a cappella barbershop harmony through education, competition and performance. Sweet Adelines empowers women by helping them find their voices, build confidence, enhance vocal abilities, improve leadership and management qualities, and create a lifelong support system of sisterhood and friendship. The women of OC Sound Chorus come from all walks of life and backgrounds, ranging in age from early 20’s to the 80’s. Members bring a wide variety of musical backgrounds and experiences to this Orange County women’s chorus, but we all love to sing a cappella harmony and the joy that comes from the friendships and camaraderie. We live all over Orange County, and originate from all over the country and world. The OC Sound Chorus is a recognized 501(c)(3) organization, TIN 23-7025580. If you would like to make a donation to our organization, you can do so securely via Paypal by using the button below.